Honda Civic has been a very popular car in our market ever since it made it’s way here. Since the early 80s, the Civic has seen good number of sales and have a very loyal fan-base in our country. Initially the Civic was an economy sedan with a 1300cc engine but as the years progressed the Civic not only grew in body dimensions but engine displacement as well. Since the production of local Honda Civic by Atlas Honda Motor Corporation commenced, the Civic moved from 1300cc to 1500cc segment and with the introduction of 6th generation Civic in 1996, a 1600cc engine was also available in addition to the 1500cc unit. For about a decade the Honda Civic was available with 1.5 & 1.6 liter engines in our market spanning from 6th generation models to the end of 7th generation. Since 2006 when the 8th generation Civic was launched, the 1.8 liter iVtec was the only engine available with the Civic. 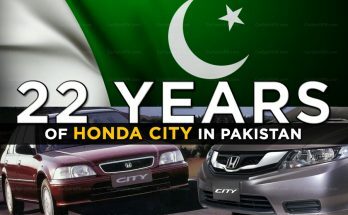 Over the years the Honda Civic in Pakistan kept getting bigger, expensive and out of the reach of many. But still being expensive and catering to a limited sector of buyers with a strong purchase power, the Civic remained a prime choice in the 1.8 liter vehicle segment. The 9th gen Civic wasn’t well received globally, however it didn’t went that bad here in Pakistan due to lack of available choices but in 2014 when the 11th generation Corolla was launched, the problems for the local Civic intensified. The 9th gen Civic wasn’t up to the expectations as a lot of Civic loyalists believe that it wasn’t able to properly fit in the shoes of its predecessor, the 8th gen Civic. The 11th generation Corolla with its bold design and a vast array of engine options was able to topple not just the Honda Civic, but its sibling the Honda City in both 1.3 & 1.5 liter engines. Not only that the Corolla swept the market, it dented Honda’s market share so badly that Atlas Honda was forced not to reveal the individual sales figures of Civic & City, rather present them as a combined figure. 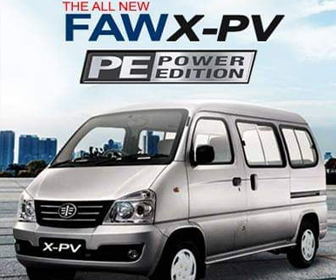 The 5th generation City is in its eighth year of production in Pakistan whereas it was replaced elsewhere by the 6th generation model in 2013. However there are reports about a possible launch of the 10th generation Civic a.k.a Civic X ahead of Honda City’s launch. And it is one car Honda Atlas has high hopes with. The Civic X has already won the ‘2016 North American Car Of The Year” and “2016 Canadian Car Of The year” award and is continuing to impress the Asian markets as well having already been launched in Thailand and China. Civic X is available with a range of engines including a 2.0 liter K20C2, 1.8 liter R18Z1 & a 1.5 liter L15B7 turbocharged unit that can change the game for Honda. In Thailand the 10th gen Civic comes with a 1.8 liter i-VTEC four-cylinder engine that develops 141 hp and 174 Nm & a1.5 liter VTEC Turbo engine that develops 173 hp and 220 Nm. Both engines are mated to a continuously variable transmission (CVT) while there is no Prosmatec transmission this time. In the fourth quarter this year the Civic lineup is expected to be expanded with a 1.0 liter four-cylinder turbo engine with 129hp and 200nm. It will be very interesting to see Honda Atlas launching the 1.5 liter turbo variant since it will be the very first locally assembled turbo vehicle but since the 1.5 liter City Aspire is already on offer by Honda, we will have to wait & see if a 1.5 liter Civic is going to be available here or not. 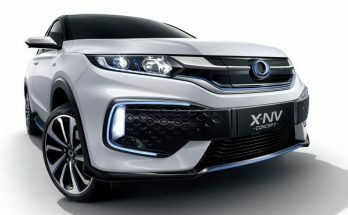 If Honda wants to regain its market here, they will have to offer Civic X in multiple engine options rather than to offer a 1.8 liter engine only, and must price it sensibly to win the customers. There are unconfirmed reports regarding its launch date in Pakistan, it might be towards later half of 2016 or perhaps early 2017. Civic X is one car that can put Honda Atlas back on top!